Set in early 19th-century Paris, La Peau de Chagrin (1831) by Honoré de Balzac tells the story of a young man, Raphaël de Valentin, who makes a Faustian pact to fulfil his excessive bourgeois desires at the cost of his soul. The protagonist is given a piece of shagreen leather that will provide him with his every request, and as forewarned, it diminishes along with his health and sanity as he wishes himself to death. The novel, a meditation on consumption and morality, seems like an antidote to the modern fashion industry and its barrage of products; the several-looks-a-day street style peacocks that punctuate fashion week would surely combust within a single day if faced with a similar storyline. 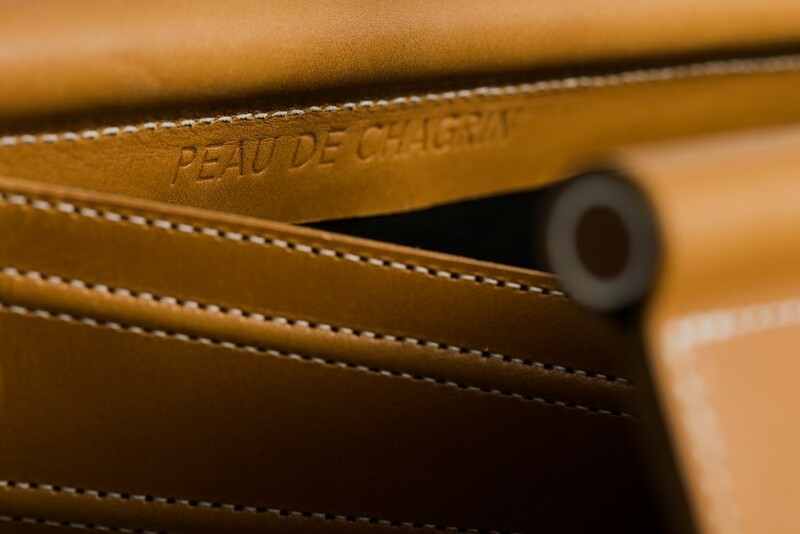 The first object that Peau de Chagrin embarked on producing was a leather bag based on one found in a flea market years before. The simple-shaped boxy bag, complete with a curved structure and corseted sides, is made by a single artisan in the Swiss Jura mountains, from chrome-free, vegetable-tanned brown leather sourced in Belgium. It’s a classic item that one can imagine ageing incredibly gracefully. The bag was soon followed by a silk scarf, inspired by a map designed by Jacques Gaffarel, Cardinal Richelieu’s librarian, in the 17th century. 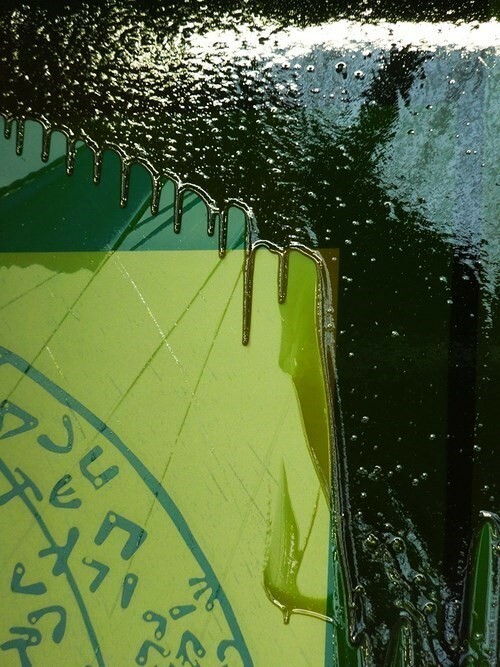 The square design is woven, printed and sewn in Lyon by a soyeux, a traditional silk manufacturer, while its fluoro-like yellow hue is hand-mixed and exclusive to the duo, framing the Kabbalistic symbols that represent the constellations of the southern hemisphere as observed by Gaffarel.